Large Decal Dimensions: 9" x 2 -7/8"
Small Decal Dimensions: 2 -7/16" x 3/4"
Click here for Contingency details. 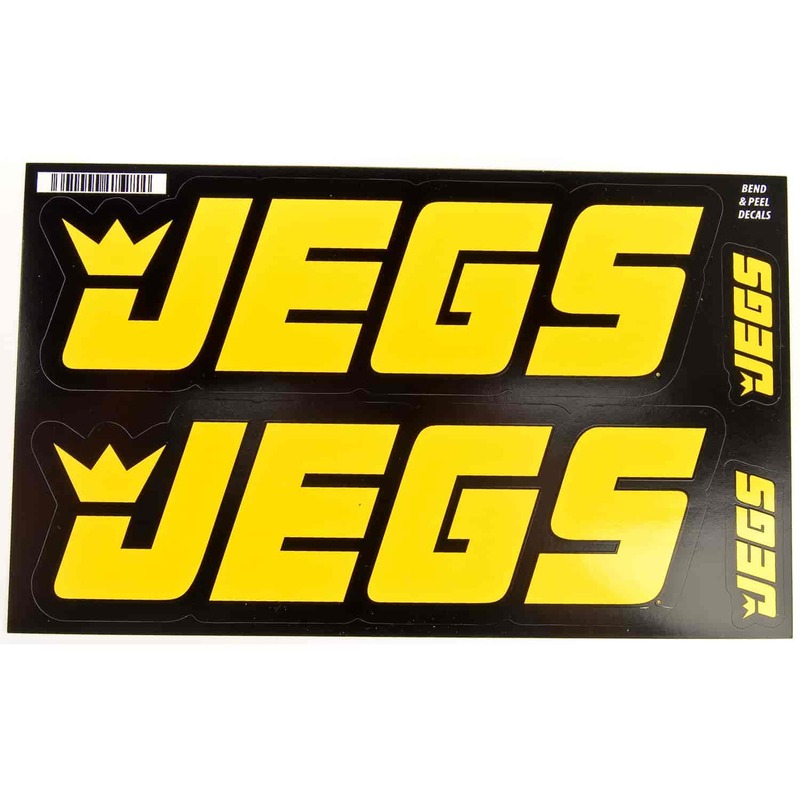 Proudly display your JEGS pride with one of these self adhesive vinyl decals. They are perfect for race cars, trailers, tool boxes, or anyplace that will tell everybody that you run with the winners! Don't forget that flying JEGS contingency decals on your car will pay you money for winning at national and divisional event races! JEGS is a proud sponsor of National Hot Rod Association (NHRA) and Lucas Oil Drag Racing Series (LODRS) Events. Click here for details. 100 is rated 4.6 out of 5 by 5. Rated 5 out of 5 by Walter from Roll Around Toolbox Decor Exactly what I wanted. Good quality and price. My toolbox and welding helmet look awesome!